The Canadian Nursery Landscape Association (CNLA) is a national not-for-profit federation of nine provincial landscape and horticulture associations representing over 3,800 members. Comprised of thousands of locally owned companies that grow, sell, design, install, and maintain plants and other landscape features, our members represent the country’s $14.48 billion green industry. CNLA works to develop programs, undertake initiatives, and form alliances in order to achieve sustainable prosperity for members and stakeholders. -- L'Association canadienne des pépiniéristes et des paysagistes (ACPP) est une fédération nationale sans but lucratif composée de dix associations provinciales reliées à l'aménagement paysager et à l'horticulture représentant plus de 3 800 membres. Comptant des milliers d'entreprises locales qui cultivent, vendent, conçoivent, aménagent et entretiennent des plantes et autres éléments d'aménagement paysager, nos membres représentent l'industrie verte de 14,48 milliards $ du pays. L'ACPP élabore des programmes, effectue des démarches et forme des alliances afin que ses membres et ses intervenants connaissent une prospérité durable. Formerly the Canadian Decorators' Association (CDECA), the Decorators & Designers Association of Canada (DDA Canada) is a not-for-profit professional association that fosters the growth of the decorating and design industry. For over 20 years we have been focused on advancing our industry through: Advocacy & policy We advocate for decorating and design excellence by providing industry information, maintaining advanced educational standards and requirements; and ethics in business practices. Educational tools & training Throughout the year, we organize industry events and training sessions to help our members expand their skill set. In addition to in-person events, we also produce live online events and recorded sessions so that everyone can easily access our great sessions. Networking events Because decorators and designers are often sole proprietors, connecting with peers is immensely important. We offer networking opportunities on a regional and national scale. All members are also eligible to participate in DDA leadership positions as well. Group benefits Members enjoy a number of cost and time saving benefits, including group insurance and discounted event entry fees. 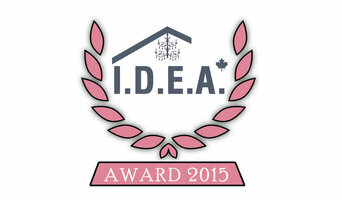 Founded in 1972, IDC is the professional association for interior designers in Canada. IDC's mandate is to advance the profession of interior design across Canada as well as internationally. It does so through advocacy with government and the public, and by providing continuing education opportunities and business practice support services to members. For more information about IDC, please visit www.idcanada.org. With more than 2,000 professional members, Landscape Ontario is the province's premier horticultural trades association. Our mission is to be the leader in representing, promoting and fostering a favourable climate for the advancement of the horticulture industry in Ontario. Landscape Ontario is a dynamic association offering professional development opportunities, industry trade shows and conferences, consumer events and cost savings benefits. Landscape Ontario is governed by an elected Provincial Board of Directors, of which its members volunteer time and effort to oversee the many programs and functions of the association. Landscape Ontario's membership is organized by a chapter system. The opportunity to network is one of the founding principles of our association.